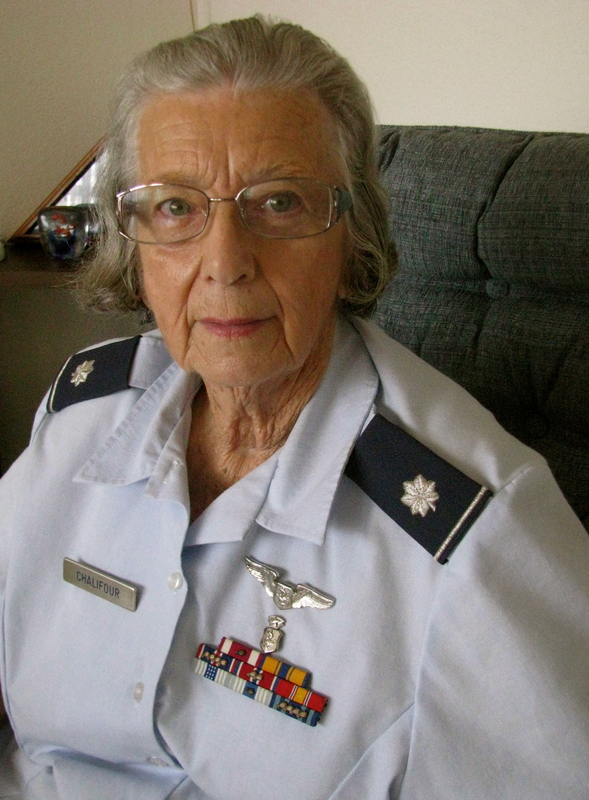 Mary Chalifour of Port Charlotte, Fla. joined the Air Force Nursing Corps on a whim for three years in 1958. She and a friend she graduated with from nursing college in North Carolina decided to give the service a try. 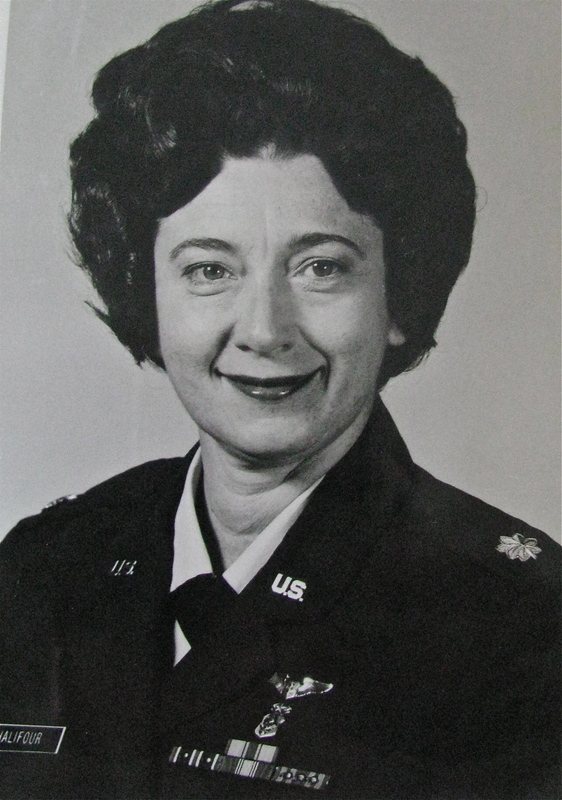 Twenty years later she retired as a lieutenant colonel in charge of all the nurses at a base hospital at Warner Robins, Ga.
“My girlfriend and I joined the Air Force’s Nursing Corps on Oct. 16, 1958. After basic I was sent on my first assignment to Wilford Hall Medical Center in San Antonio, Texas. At the time it was the largest Air Force base hospital in the world with 1,000 beds,” she said. “Initially my first job was in the orthopedic ward. Later I was transferred to a surgical ward. I spent the next two years there treating a lot of people who were involved in auto accidents,” Chalifour said. “We had this one nurse that was involved in a head-on collision returning home from work one night. It was in a remote area and she wasn’t found for an hour after the accident. “We worked on her for weeks to improve her medical condition. A month or so later she was take out of intensive care and moved into the regular ward to recover some more. She recovered to the point where she could go back home, but she wasn’t ever able to return to nursing. “From January 1961 to January 1963 I was assigned to Tachikawa Air Force Base outside Tokyo, Japan. “I worked primarily in a female ward. We took care of a lot of Japanese woman who had become the wives of American servicemen. A lot of these women had TB. We did a lot of lung surgery,” she remembered. “Before I left Tachikawa in 1963 we were starting to get wounded soldiers from Vietnam. Our job was to triage these patients. Then they would be sent to an Army or a Navy hospital in Japan. “When I came back to States I was assigned to Moody Air Force Base in Valdosta, Ga. I started out there on the medical ward. By this time I made captain. I had been in the service for 10 years. “It was there I met my husband Lee Chalifour. He was a Master Sergeant in the Air Force. He had served as a tail gunner in a B-24 ‘Liberator’ four-engine bomber in Pacific during World War II. “We were on the verge of getting married much to the displeasure of the base hospital commander. He wanted to separate us because he didn’t think officers should merry enlisted-men,” she said. “I called my boss and she called the Chief Nurse of the Air Force who had been my chief nurse when I worked at Tachikawa Air Force Base in Japan. The couple was assigned to Tachikawa where they got married in 1967. It was Mary’s second tour there. “I went to Japan 45 days before Lee. Our dog got shipped, our car got shipped and I left to go over there. By the time he arrived I had found a place for us to live on base, had furniture in the house and food in the frige,” she said with satisfaction almost 50 years later. “One of the nurses I worked with gave the keys to here black Thunderbird so I could pick him up in style when he flew in from the States. “By this time we were starting to get a lot of wounded servicemen from the war in Vietnam,” Mary said. “Many of these patients were not only wounded, but they were suffering from Dengue Fiver. It’s a very bad bacterial infection that can cause brain damage and kill you. “We got this 18-year-old soldier who was very ill with Dengue Fiver. He was almost a vegetable when he arrived. We did an awful lot of work on him to improve his condition. When we sent him back to the Sates he was able to walk, talk and feed himself. The last I heard of him he was attempting to go to college. He had made that much progress. “When I left Japan in September 1968 I was assigned to Altus Air Force Base in Altus, Okla. My primary assignment there was to work in a medical ward. It was there I requested an opportunity to go to Chief Nurses School at Shepard Air Force Base, Texas. I got the assignment. “In July 1970 I started Chief Nurses School. It was a very intensive six months course. There were 10 of us in the class, we were all majors. When the course was over in November of ’70 I was selected the ‘Outstanding Honor Graduate’ with a grade point average of 98.6. 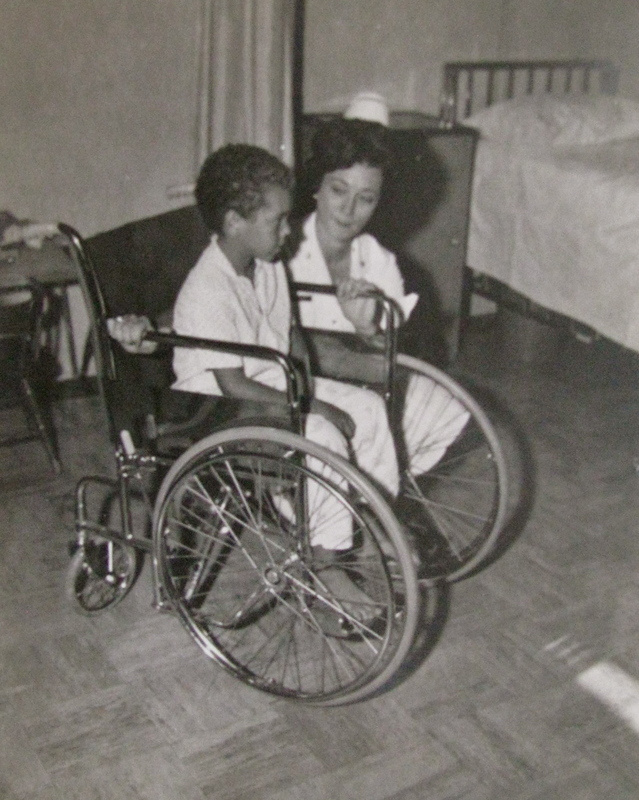 In 1974 she and Lee returned to the U.S. and they went back to Wilford Hall Hospital in San Antonio. This was her first assignment 16 years earlier when she was a young second lieutenant. “My job was charge nurse in the emergency room of the 1,000 bed hospital that serviced both military and civilians in the San Antonio area. There were two cases I recall well that I was involved in during my second tour at Wilford Hall. “We had this young soldier who got high on something and came into the Emergency Room with a gun in his hand. He was ready to blast us all away,” Mary said. “We managed to calm him down and get the gun away from him. After we treated him and he sobered up he was sent to the brig. “We had another case where a Saudi Arabian prince who was being trained at the nearby U.S. Air Force base walked into the Emergency Room drunk in his flowing royal robes. He wanted all of us to bow down to him because he was a royal prince who was flying high. “We sedated him and returned him to his unit back at the base. Later I learned he was shipped back to Saudi Arabia in disgrace because of the Emergency Room incident. We learned later he was executed because of his bad behavior on the Air Force base. He had disgraced the royal family. Things like that happen in the Far East,” she explained. 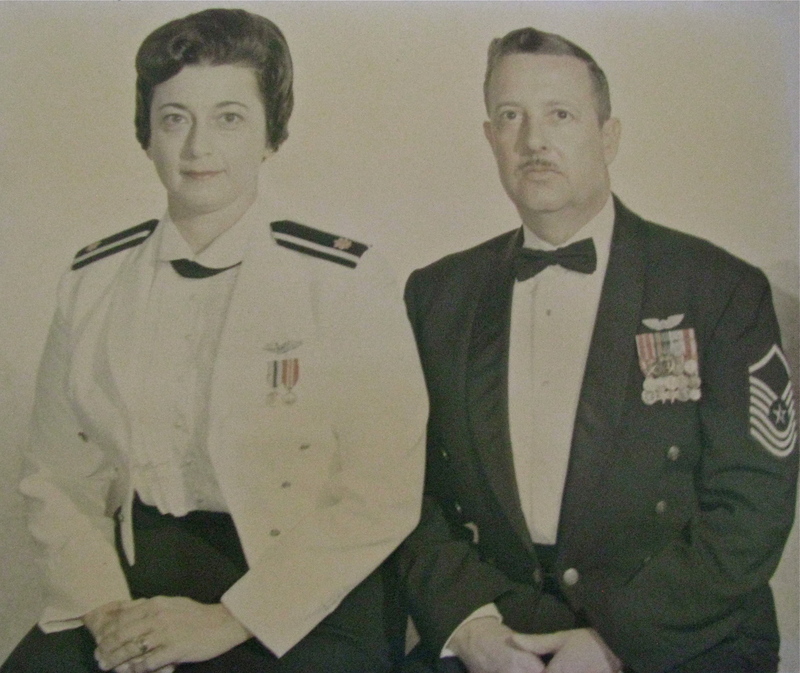 By this time Mary was a lieutenant colonel in the Air Force Nursing Corps. Her last two years in the service were spent beginning in 1976 as chief nurse at a 150-bed hospital at Warner Robbins Air Force Base, Ga. The day after she retired from the Air Force she and Lee changed into civilian clothes, jumped in their car and drove non-stop from Georgia to their home in Port Charlotte they purchased four years earlier after returning from their tour in Germany. Together the couple has a combined total of 50 years serving their country in the military. “We have lived in this house since November 1978 and we’ve enjoyed every bit of our retirement,” Mary said with a smile. This story was first published in the Charlotte Sun newspaper, Port Charlotte, Fla. on Dec. 21, 2013 and is republished with permission. Click here to view Chalifour’s collection in the Library of Congress. To ALL your veterans and those yet to come – The best in wonderfully magical Christmas’ and New Years! !